Prepare for so many boat shoes. Sigh. The Olathe Republican Party Picnic kicks off this weekend. 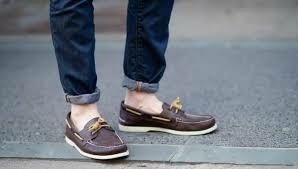 Hundreds of Republicans will descend on Cedar Lake, and far too many of them will be wearing boat shoes. Almost everyone there will be involved in a campaign for one or more candidates and everyone will be throwing around titles. Introductions will include full resumes. "Hi, I'm the (volunteer coordinator/communications director/campaign manager/candidate) for candidate X.I graduated cumma sum laude from University Y. I am the former city council member from Z and served on the Governor's Committee for a Better America. Stop by my booth/wear my sticker/take a yard sign." As usual, most of the people who attend will be weirdos. Sorry friends. I'm including myself in that mix. Regular voters-- people who don't spend good parts of every day thinking about political stuff--are unlikely to be there. And since Yoder and Moran are skipping the event, we can hope that the protesting hippies in genital hats will skip, too. Olathe is conservative but the party isn't anymore. Ron Ryckman, Erin Davis, Larry Campbell and more voted for the largest Kansas tax hike in history and they're called conservative by the precinct activists who just want to get a photo op. Voters don't go. 99% of people who go are working for a campaign. Doesn't make sense for campaigns to be there. Roni Paul and Keith Esau are yuge let downs to Olathe conservatives. Roni Paul? Keith Esau? What?! How are they let downs?